2 What Matches Khaki Shoes? When it comes to building an adaptable, minimalist wardrobe, you need to focus on the colors that define your style. Not because there's any such thing as colors you can't wear -- gone are the days when we picked colors based on our looks and never strayed -- but because defining a set of colors that you're drawn to, that you love wearing and make you feel good is essential if you want a closet full of clothes that go together well. That doesn't mean that every purchase has to fit into a color code, but by being aware of your signature colors, you'll be more likely to make good wardrobe decisions when adding to your style arsenal. You'll never know if you never go... Is typically what people say about travel, but the same also applies to colors. You may have spent your whole life wearing certain colors to the point where they are part of your personality. Which is great, if you're happy with what you wear. But if you're looking to shake-up your wardrobe, why not try on a color outside of your go-to hues? I recommend going to a department store with a few friends and trying on every single color you can find. Identify how you feel in each color and narrow in on which ones you do and don't like. Do you feel self-conscious or right at home in this color? Seek an opinion from your friends -- we tend to be harsh on how we look in something new. You might just be pleasantly surprised! 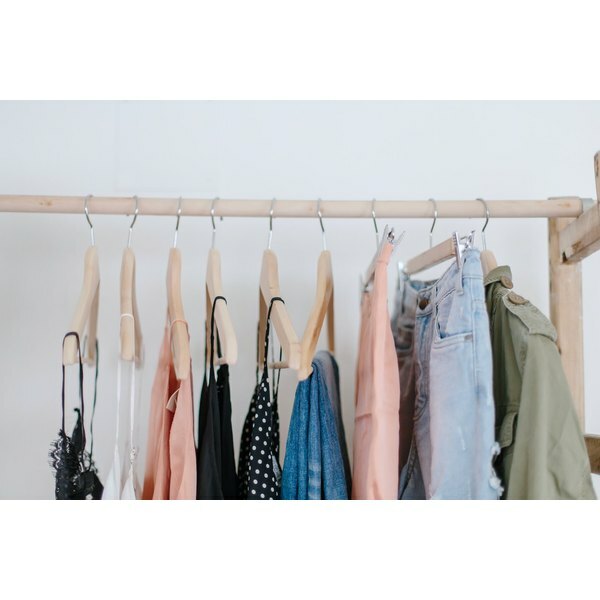 When it comes to creating a functional wardrobe where everything goes well together, you need to pick which base colors you think work best for you in terms of what you wear and your lifestyle. Base colors include white, black, beige, cream, navy, khaki and any other color that forms the base of your outfit. These should be considered for major purchase items you want to get a lot of wear out of, including that all important winter coat, jeans and those pointed pumps you'll wear over and over again. To decide which neutrals you lean toward, take a look in your wardrobe and try to understand what base colors you gravitate to the most. OK so, although we said there's no such thing as colors people can't wear, there is such a thing as colors people shouldn't wear -- not because of how they look, but because of how they make you feel. Colors are intrinsically emotive -- and in the same way they're used in marketing to give a sense of feeling to a brand -- the signature colors you choose to highlight your wardrobe with should make you feel good. There's no such thing as a one size fits all here, as different colors make people feel different ways. Where someone may look at red and think romance, someone else may look at red and think vamp and therefore never end up wearing the pieces they buy in red. When choosing your signature highlighting colors, make sure you consider how you feel about the color. Naturally, you're going to want to pick ones that make you feel like you're on top of the world -- whether that be mustard, plum or cherry. When defining your signature highlight colors, it's important to think about how they all go together, so that you know your outfit choices will be endless. That doesn't mean that all your highlight colors need to go together, just that they should be supported by the neutral colors so that there's never a time you're standing in a skirt in front of your closet thinking, "I have nothing that goes with this." Once you've made some ground on defining your preferred neutral and highlight colors, make sure to write them down as guidelines for your future shopping trips. For me, my neutrals are black, white and blue, and I like to highlight my wardrobe with khaki, pastels and the odd fun pattern. These aren't unbreakable laws, it's more than they provide structure to my choices so my wardrobe is functional and adaptable. Geneva Vanderzeil is an author and the founder of a pair & a spare. Geneva’s passion for writing, photography and craft started with an early love of making her own clothes and documenting the process, and has grown to encompass DIYs in all areas of life, whether it be recreating the perfect outfit off the runway, interior projects, developing your wardrobe or travelling the globe. What Color Nail Polish Looks Good With a Black & White Dress? What Color Matches Grey Shoes?